I have a slightly unhealthy obsession with potato chips.. and not just any kind. They have to be Lay's Salt and Vinegar. Yes, Lay's.. I don't care if there is something out there that is mind blowingly better. What happens when you run out of chips.. do you hop in your car, speed down to the Piggly Wiggly, Publix's, or Pete's corner store... and buy more? Ok then that must just be me..
What happens when you one day decide that this will be the day you make your own homemade salt and vinegar chips.. But all you have is 2 sweet potatoes..
Well if you're me, you attempt to make salt and vinegar sweet potato chips. Then you throw them away because they're disgusting.. I tried a few different combinations that ended up not being that great. Please note that you can not put Bourbon on everything.. that note is mostly for myself. Now BBQ seasoning, that can go on anything. This was proven by me whipping up a little of my on bbq seasoning and adding it to some fresh out the fryer sweet potato chips.. 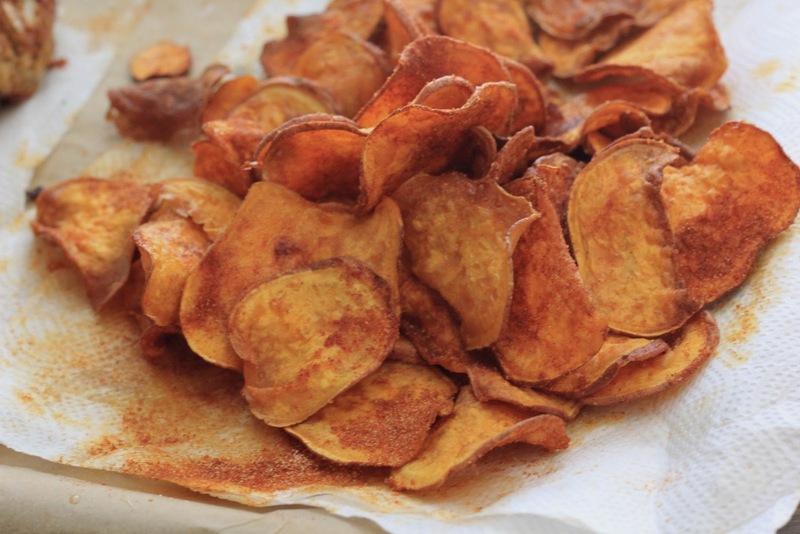 Which was also after several attempts at different combinations, a few trips to the market and the realization that the original plan for homemade salt and vinegar chips was some how over shadowed by 2 sweet potatoes. In a small bowl whisk together the paprika, garlic powder, sugar, salt and cayenne pepper and set aside. 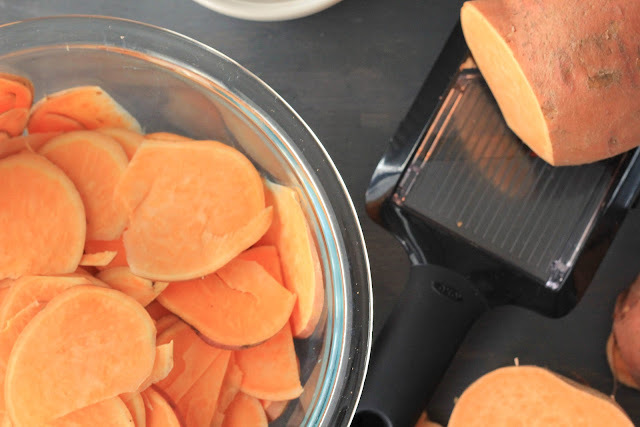 Slice the potatoes into very thin (1/4-inch) slices. I used a mandoline to make this process easy. Fry the potatoes in batches, only a few at a time for about 5-6 minutes. Remove from the fryer and drain on a paper towel lined plate. Sprinkle immediately with prepared BBQ seasoning. Serve while hot.